On the way home from Radnor yesterday, we came across this familiar Soviet show car that’s made the rounds in Greenwich and Scarsdale. The owner and his friends all keep old Russian cars going, including a Lada (owned by Roman Grudinin, who has taken excellent care of it) and a 1980s ZiL which showed up at Greenwich this summer and nearly wrecked what’s left of my hearing. 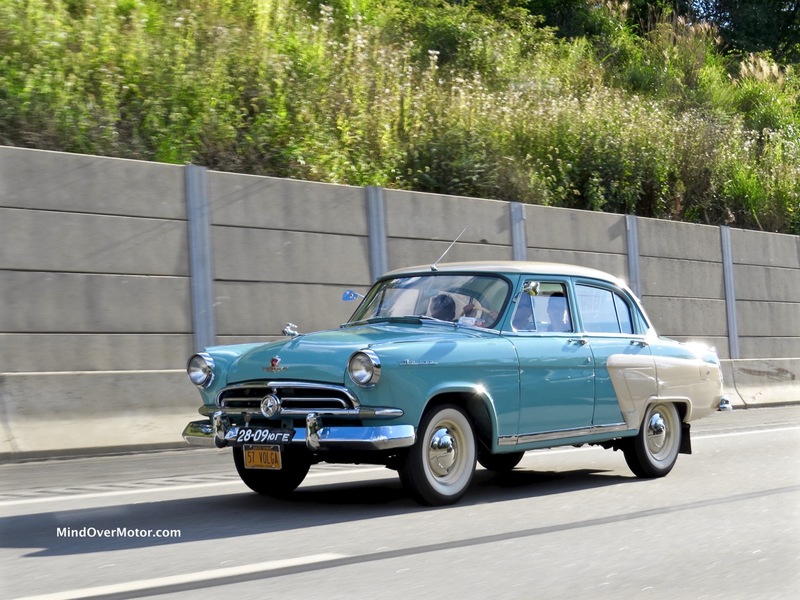 This blue and white Volga has been at a ton of shows and it was also at Radnor–we caught it on the way home and I felt obligated to take a rolling shot. Who says Communist cars can’t look swanky?